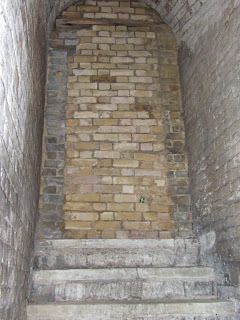 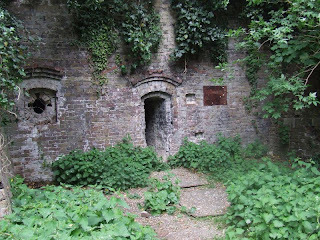 In fortification terms, a Caponnier is a defensive structure which projects into a ditch, or gallery which crosses a section of ditch, to allow gun fire on an assailant. 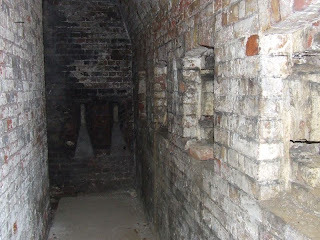 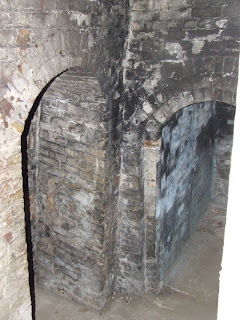 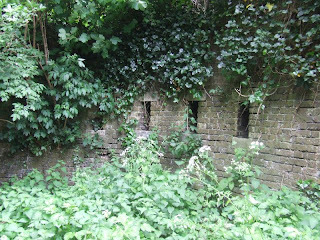 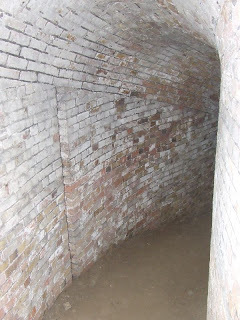 This caponnier is a short underground passage, in the unrestored upper area of Fort Amerst, with gun ports and a short musketry gallery covering a section of the ditch. 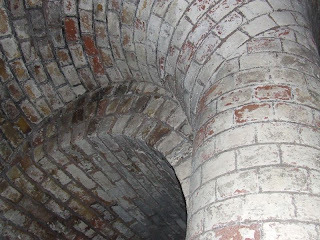 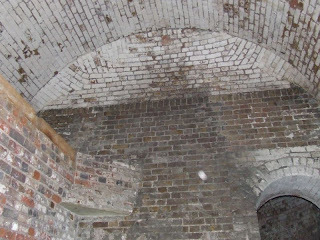 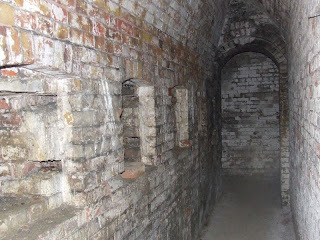 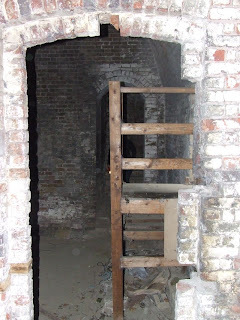 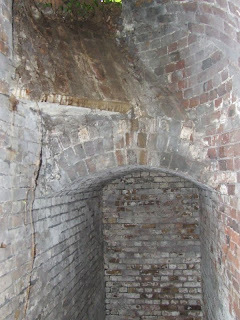 This part of the Lines of Fort Amherst is not normally open to the public, this was a special tour.